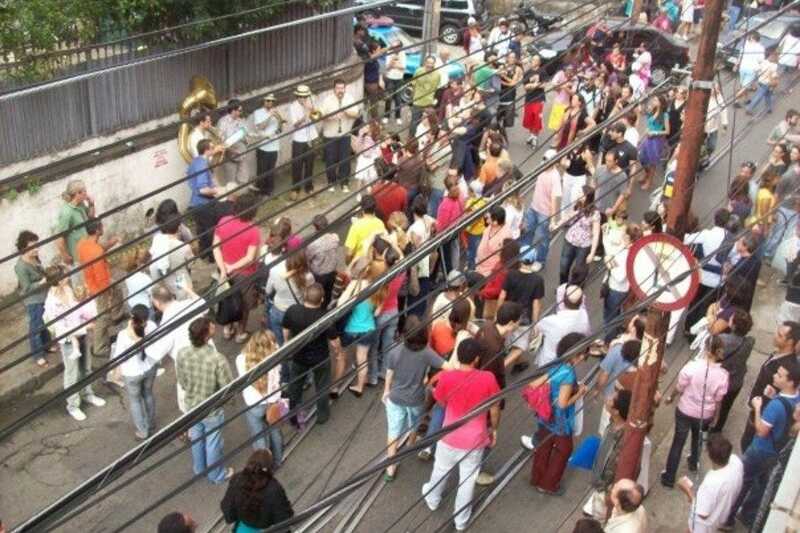 Santa Teresa is known as the bohemian heart of Rio - an artsy enclave of musicians, intellectuals and party people set high in the jungle-clad hills. 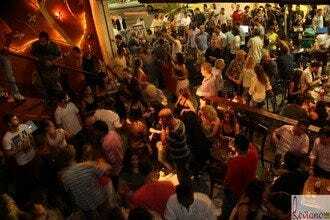 The lively bar scene of this historic neighborhood is one of the most appealing in the city. Cooled by mountain breezes, the atmosphere is ultra-relaxed, the dress-code is boho-chic and visitors will find it easy to make friends with the party-loving locals. A world away from the chain bars of Centro and the Zona Sul, Santa Teresa is all about small, independent bars and a hipster crowd. 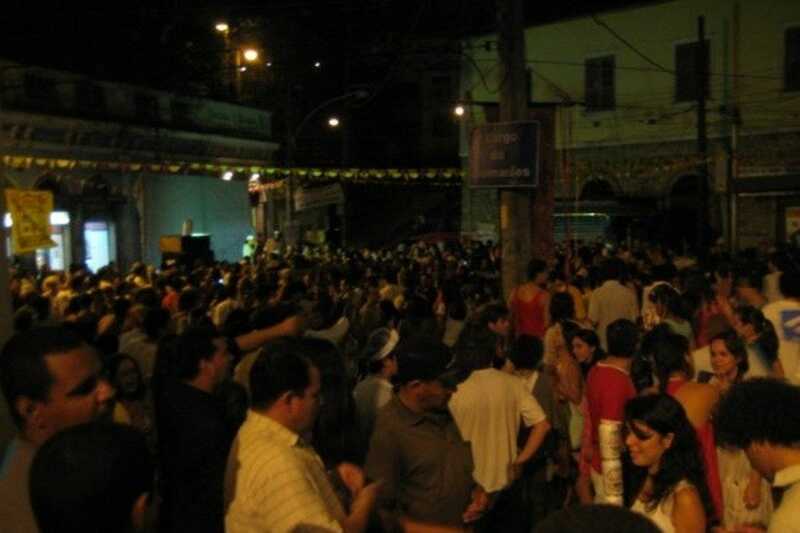 During the summer street parties are held at Largo do Guimaraes, the neighborhood´s main square, while nearby bars such as Bar do Mineiro, Simplesmente and Portello do a lively trade, with revellers spilling out onto the streets at weekends. A short walk away, Armazem do Thiago (fondly known as Bar do Gomez) is one of the oldest and best-loved botecos in the city, and the mix of beer-swigging locals and long-stay ex pats make for a welcoming and lively atmosphere. 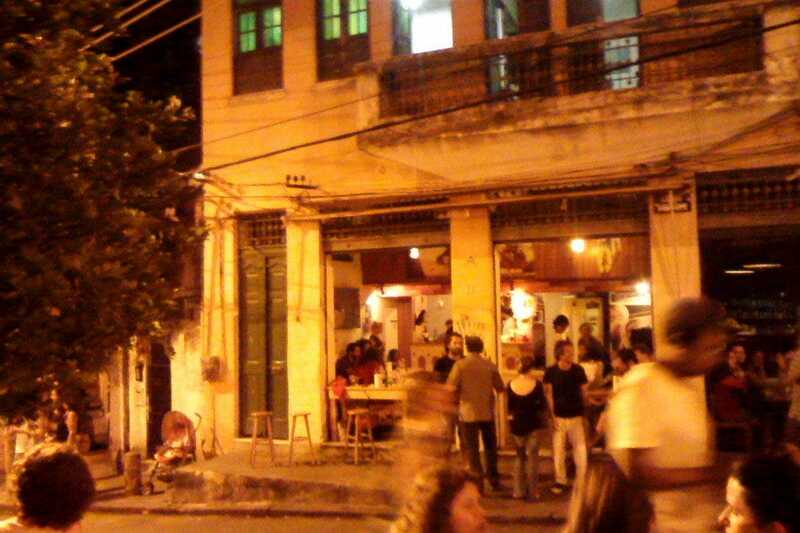 With the famous Santa Teresa currently out of service for repairs, cosy bars such as Bar do Bonde and Mike's Haus lie a little off the main tourist drag, but are worth a few minutes' walk to enjoy a reasonably-priced drink, chat with locals and soak up Santa Teresa´s wonderfully laid-back vibe. This picturesque public square at the heart of Santa Teresa is the social heart of the bohemian neighborhood, and the setting for many a lively street party. The square itself if flanked by bars and restaurants, and this is the best place to jump off the bus on a visit to the famously bohemian neighborhood. 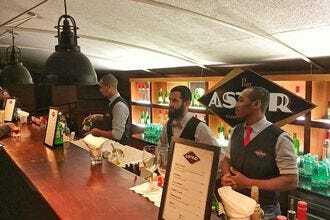 A wealth of eating, drinking and shopping opportunities can be found within just a few minutes' walk of Largo do Guimaraes and this is the starting point for many memorable, if hazily recalled, nights out. 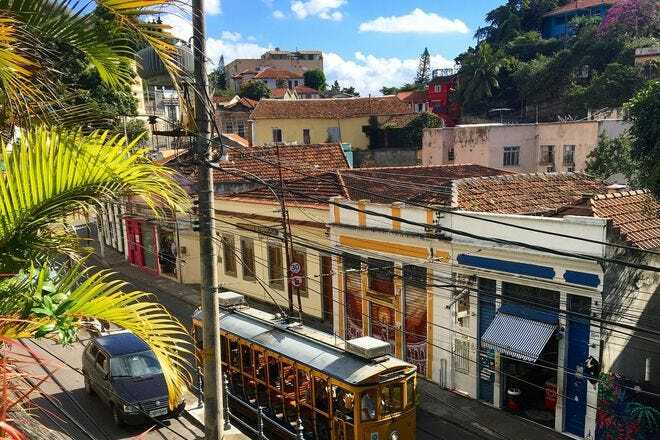 The famous Santa Teresa 'bonde' , or street car, is out of action until 2014, but the bonde stop at Largo do Guimares remains a key reference point for finding your bearings in Santa Teresa. 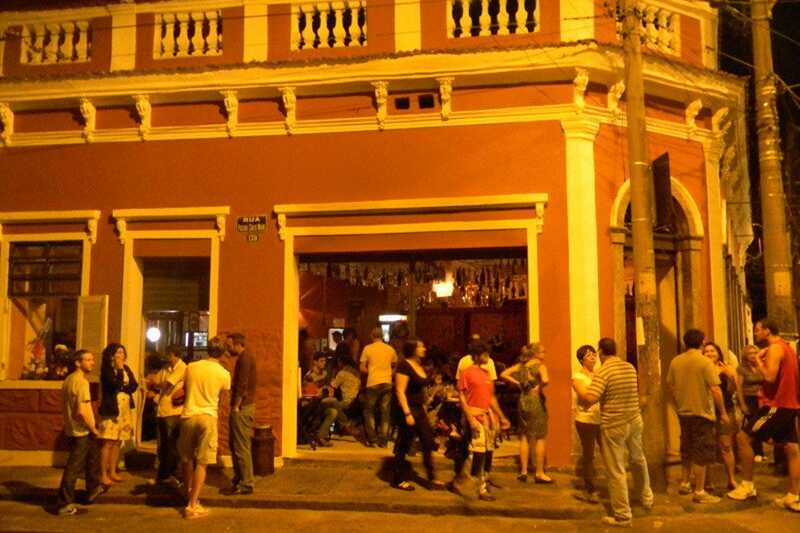 This appealingly laid back bar at the heart of Santa Teresa´s nightlife strip is a long-standing favorite among locals and visitors alike, with its late opening hours making it a top spot for end-of-the-night drinks. Prices are reasonable, the vibe is chatty and relaxed, and there's a good range of bar snacks to help soak up some of that fast-flowing beer. The black bean soup is a tasty option, while pizzas and portions of fried aipim (manioc) are also popular orders. 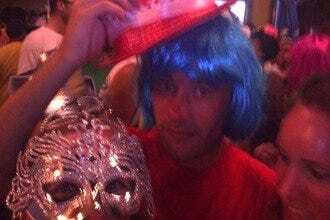 Wednesday nights see live samba bands turn the place into a full-on party, while on weekends revellers spill out onto the streets, plastic cups in hand. Occupying a corner building on Santa Teresa's liveliest square - Largo do Guimaraes - Cafe do Alto has carved out a reputation for serving delicious dishes at fair prices, in a wonderfully colorful setting. The emphasis is on food from Brazil's Northeast, but but avoids the stodginess that sometimes weighs down Nordestino cooking. Light dishes include tapioca panckaes filled with everything from tomato and marinated tomatoes or shredded jerk beef, to sweet versions filled with fruit and curd cheese; while recommended mains include moqueca - a typical seafood stew, here adapted to include veggie friendly versions made with palm heart or yucca. There are abundant breakfast options, and the weekend breakfast buffet - which runs until 1pm - is the ideal hangover cure for anybody who partied hard in nearby Lapa the night before. Portella occupies a prime spot right at the heart of the party action. Live samba music fills the air here, while the windows that open onto the neighborhood´s main nightlife strip allow for plenty of people-watching as you sip an aged cachaca and nibble on typical Brazilian bar snacks such as delicious little filled pastries served with a tangy tomato sauce. The cocktail list is particularly tempting, and helps add to the party atmosphere here. Portella is actually an off-shoot of a Sao Paulo bar od the same name, but the Santa Teresa branch fits perfectly with the local boheman vibe. Santa Teresa is better known for its boho-chic independent bars and restaurants, but visitors looking for something a little fancier will find it at Bar dos Descasados. The terrace bar at the luxurious Santa Teresa Hotel (now owned by Sofitel), it's open to non-guests, and does a nice line in perfectly crafted cocktails. 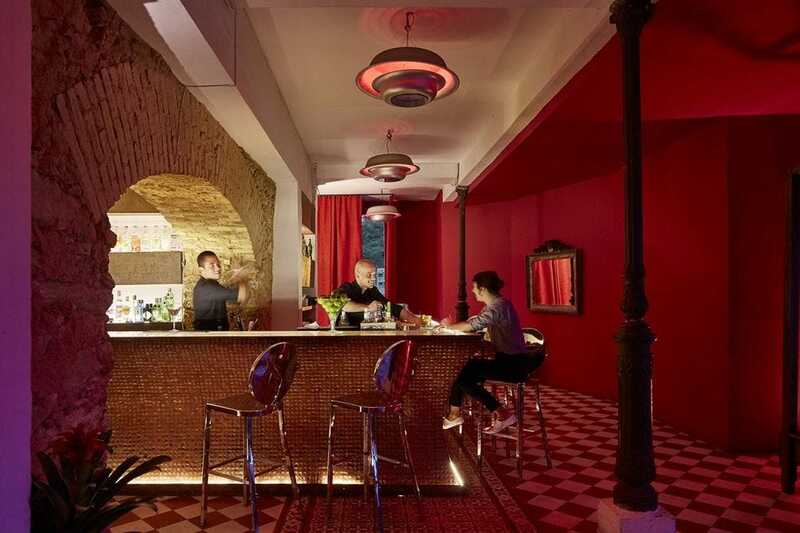 Dainty nibbles, attentive service, bold decor and attentive service also contribute to the bar's popularity among well-to-do visitors to Santa Teresa as well as the occasional local socialite. There's live music most weeks, and the ambience is relaxed but sophisticated. Named after the 'bonde' (tram) that rattles through Santa Teresa, this welcoming little bar is a little off the beaten tourist track, but well worth seeking out. Locals know this is the place to come for an excellent range of bar snacks and main meals, along with a decent cocktail list and a seriously well-mixed caipirinha. 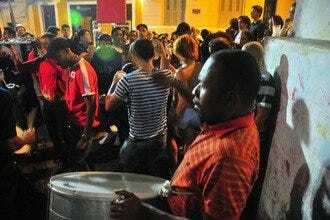 Saturday nights see live samba, jazz and bossa nova bands draw a lively, largely local, crowd. Aim to get there before 8pm to grab one of the few sidewalk tables here. Framed by a pretty whitewashed church and surrounded by laid back bars and restaurants, this neighborhood hangout feels charmingly like a village square despite being mere minutes from Rio city centre. 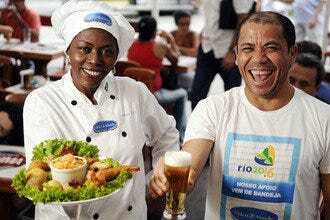 On Friday nights, the square throngs with vendors selling caipirinhas and batidas (surprisingly delicious mixtures of condensed milk with sugar cane rum and fruit or even chocolate), as well as oven-fired pizzas, grilled meat and bowls of hearty soup. Children whizz around the center of the square while their parents relax with drinks, and everybody stays up until the small hours. 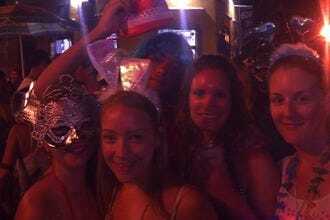 Occasional live music performances and dance displays turn the square into a prime party location in Santa Teresa, but on an average Friday night it is the perfect place for parents to enjoy a fun, laidback and very inexpensive night out. Somewhat glitzier than your average Santa Teresa hangout, Explorer bar harbours one end of the famous Largo do Guimaraes square, but has a terrace with views overlooking the steep cobbled streets of this picturesque neighborhood. The drinks, like the food menu, aim to reflect the flavors of the world, with good quality imported gins and tequilas as well as the obligatory sugar cane rum for caipirinhas. Food is colorful and inventive - diners can enjoy traditional Brazilian pasteis or Middle Eastern mezze, among the many options, and the plates are good for tapas-style sharing between friends. Regular live music performances keep things lively, and the light-strewn terrace is simply a lovely place to be on a balmy Rio night. This Santa Teresa bar-restaurant was opened by a family of Spanish settlers in Brazil in 1919, when it doubled as a grocery store. 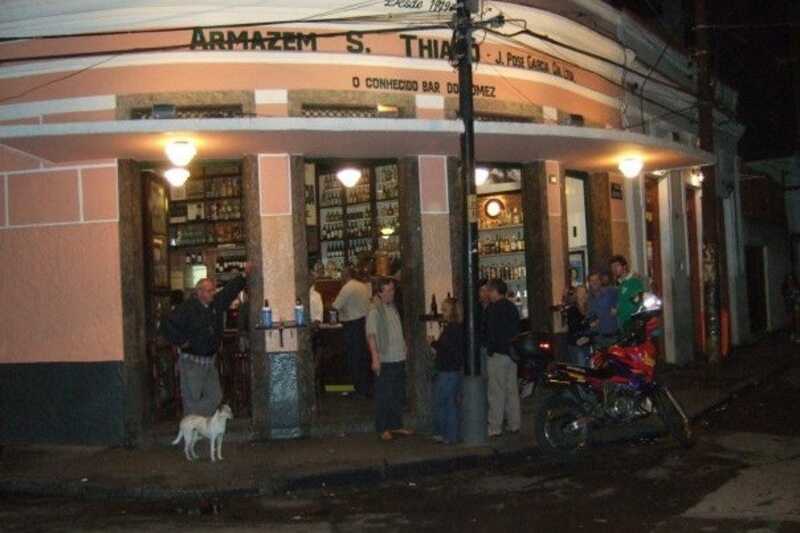 The official name, Armazem Sao Thiago, references this, but this most inviting of watering holes has long been affectionately known as Bar do Gomez in honor of the now-deceased owner. 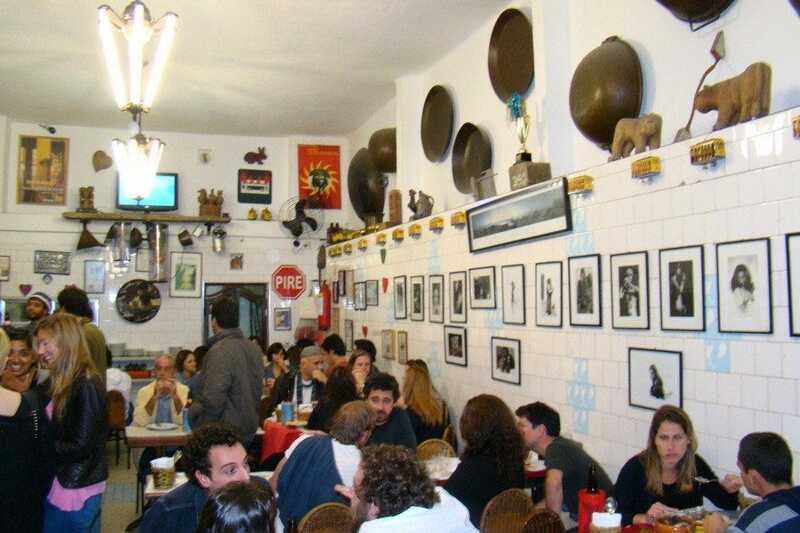 Little has changed here over the years, and it maintains a historic charm that makes it one of the best-loved botecos (bar-restaurants) in Rio. Along with an extensive list of bar snacks and nibbles, there are some good sandwiches and main meals on offer - including hearty plates of grilled meat with salad, rice, beans and fries. 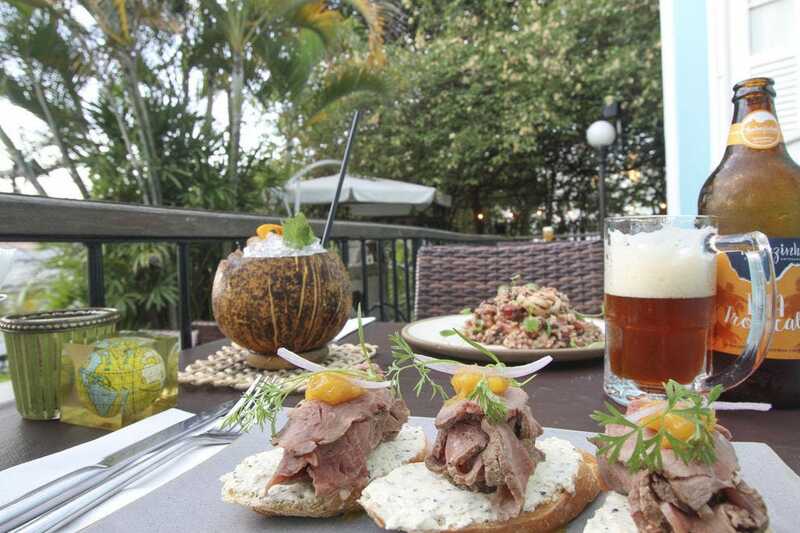 Wash it down with a cold draught beer or one of the 60 types of sugar cane rum on offer.